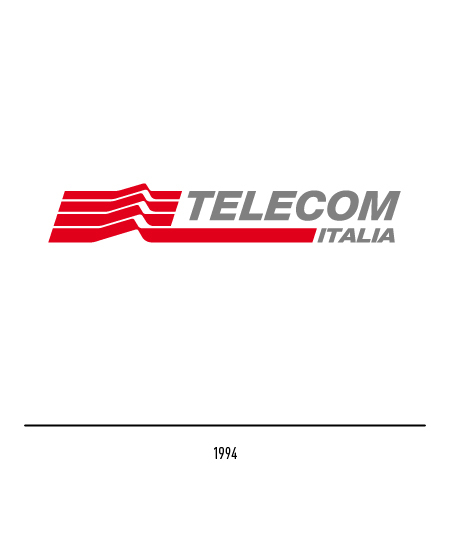 The history of telecommunications in Italy is very much Telecom's history an that of the companies that have sprung from it. 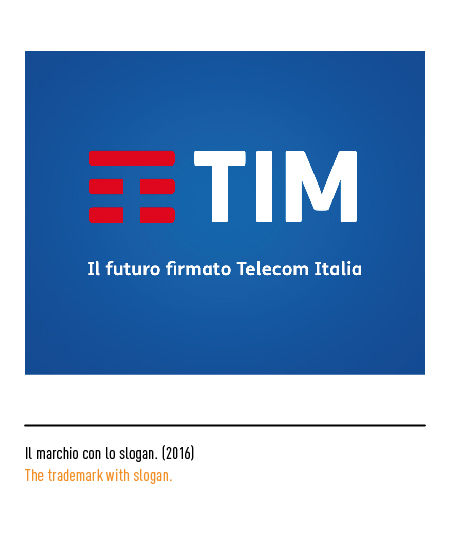 Indeed, Italy's economic growth and development owe much to these companies. 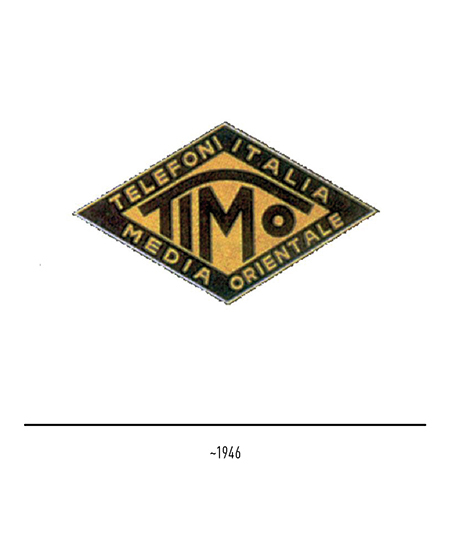 Italy's first telephone call was made in Milan in 1877 but forty years were to pass before the sector was placed on a proper business footing. 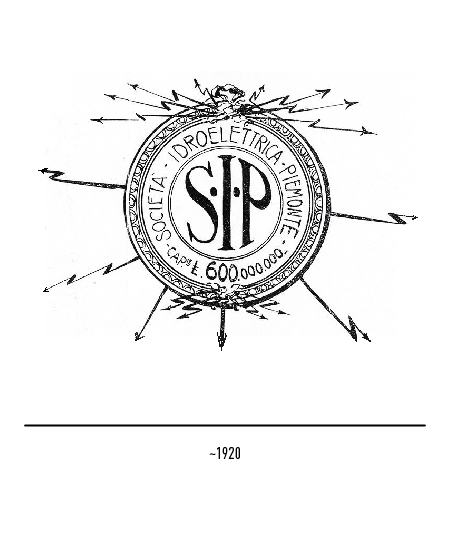 In 1899 an electro-chemical firm was established at Pont Saint Martin in the Province of Aosta and in 1918 the same firm acquired the name SIP, the acronym for "Società Idroelettrica Piemonte". 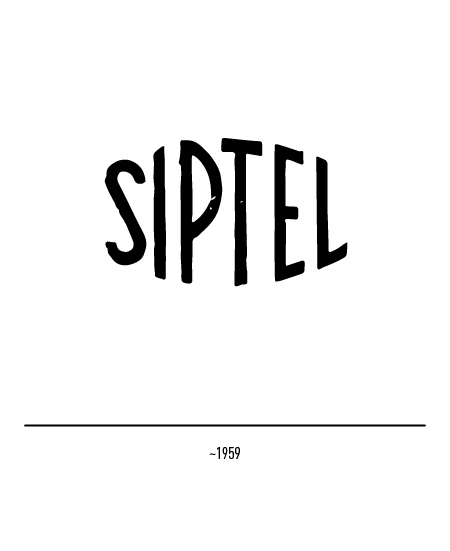 After the Great War the firm's business interests began to diversify, expanding from the power sector to telephone communications. It very quickly practically acquired monopoly status, even though the Great Depression left it in dire straits and it had to be salvaged by IRI. 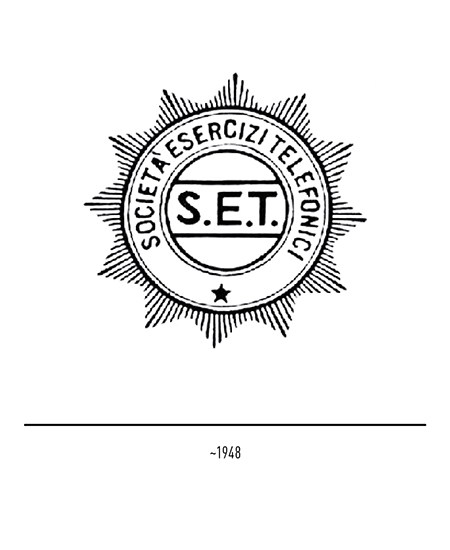 The operation entailed separating the power side of the business from the telephone communications side and led to the setting up in 1933 of the group's financial company, STET (Società Torinese Esercizi Telefonici). 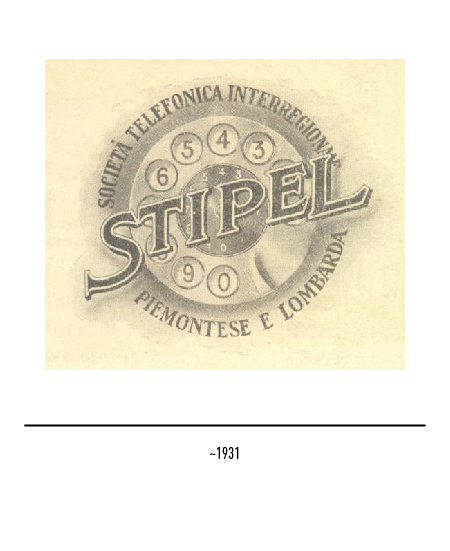 In 1957 STET took over the five telephone companies that ensured on-line communications throughout the Peninsula, namely: STIPEL (Società telefonica internazionale piemontese e lombarda) and TELVE (Società telefonica delle Venezie) for the three north-east regions of the Veneto; TIMO (Telefoni Italia medio orientale) for central and east Italy; TETI (Società telefonica tirrena) for Liguria, Tuscany, Latium, and Sardinia; and SET (Società esercizi telefonici) for the continental south and Sicily. 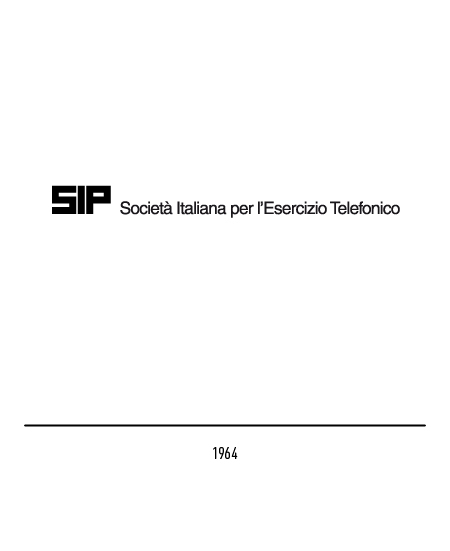 With Italy's economic boom in full swing and the nationalisation of the power industry, in 1964 it was decided that the time had come fro a merger of the five separate grantee companies. 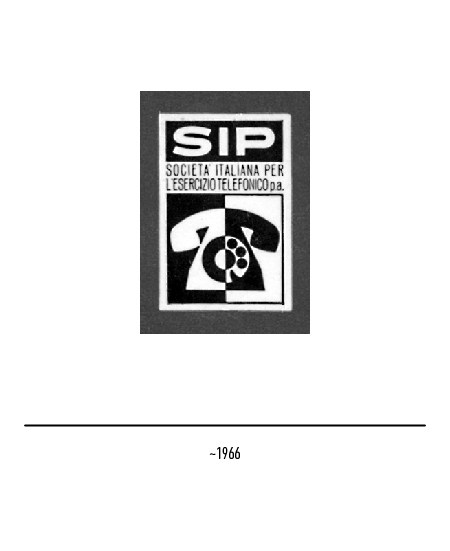 The new corporation was renamed "SIP, Società italiana per l'esercizio telefonico". 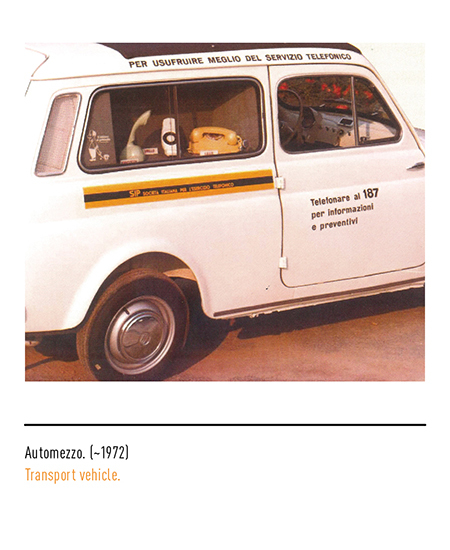 Its first trade-mark came out in 1964 and was characterised by broad, Helvetica-style block lettering. 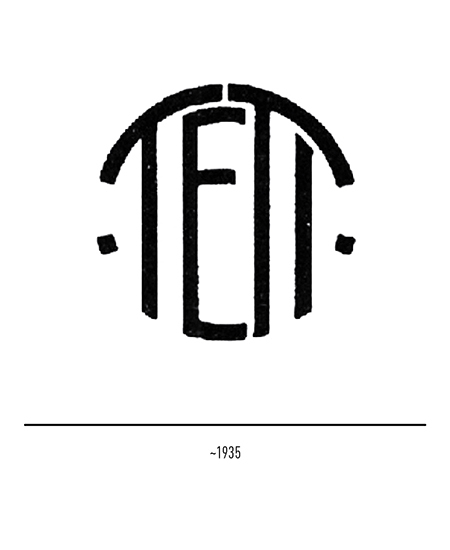 Actually, this logo was not officially approved so that it was used liberally in other versions up to 1983. 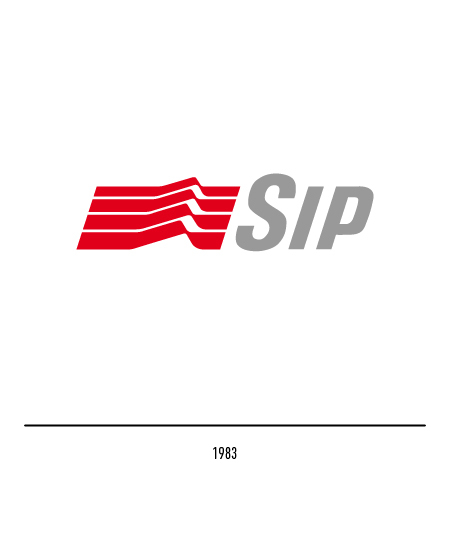 As can be read in the registration de ed, the new trade-mark now comprised a "…an undulated red tetragon viewed in perspective and leading up to the word SIP in grey and slanted sideways". 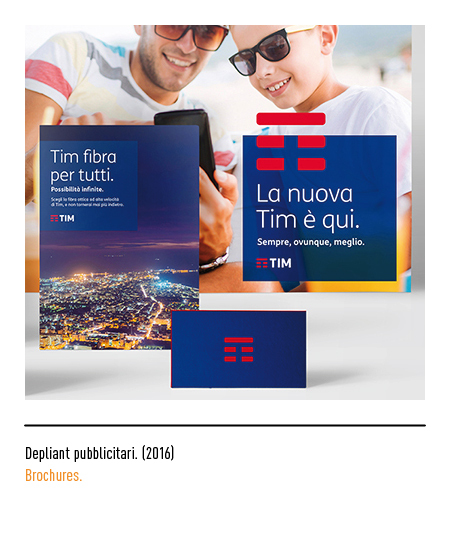 The progression and overlapping of graphically similar signs effectively conveyed the notion of communication in action. 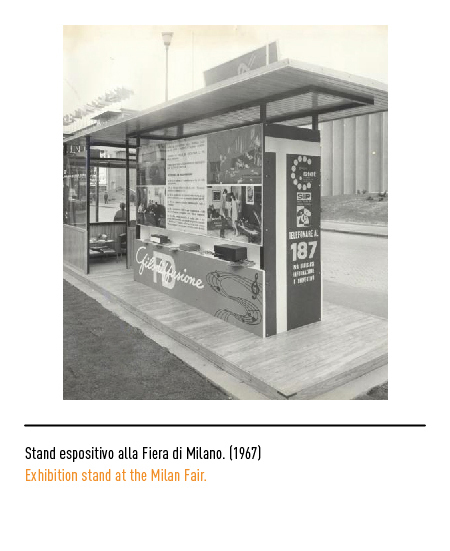 Designed by Landor Associates, it expressed, dynamically and in a modern style, the idea of a technologically advanced company striving towards the future. 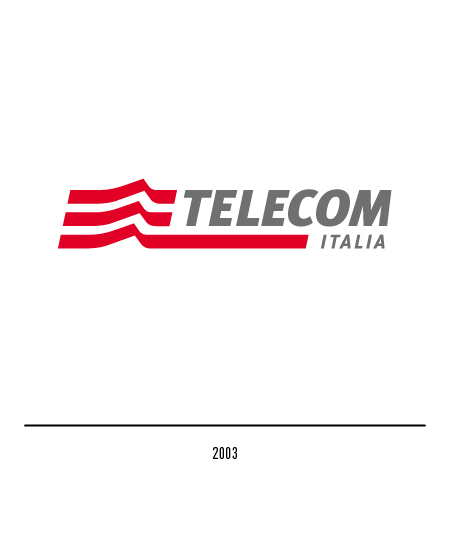 Sector restructuring created the conditions for the establishment of "Telecom Italia" in 1994. 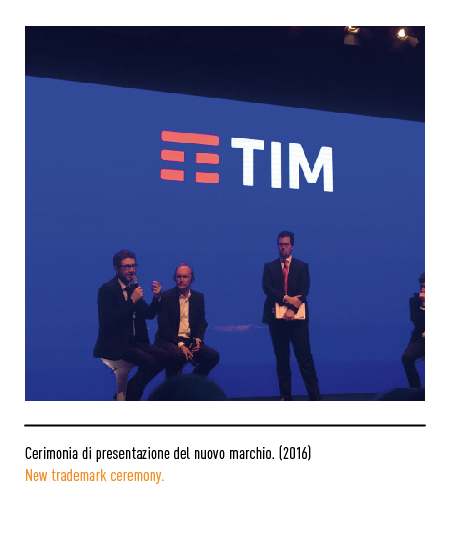 The new corporation formed out of the merger of IRI group companies in the sector (SIP, Italcable, Iritel, Telespazio e SIRM) was the only operator offering integrated telecommunication services in Italy. 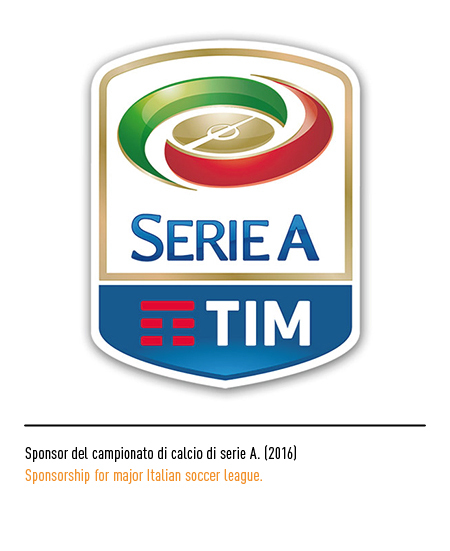 The in-house designed trade-mark retained the graphics of the previous one and Helvetica lettering was adopted for the logotype. In 1995 a Telecom subsidiary TIM ("Telecom Italia Mobile") was established and Area Strategic was commissioned to design the trade-mark. 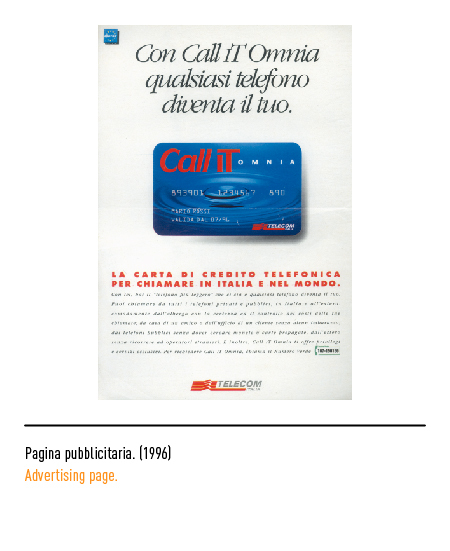 This was then restyled in 1998 by Landor Associates who did away with upper case lettering and set the acronym inside an elliptical figure reminiscent of cell phone key-pads. 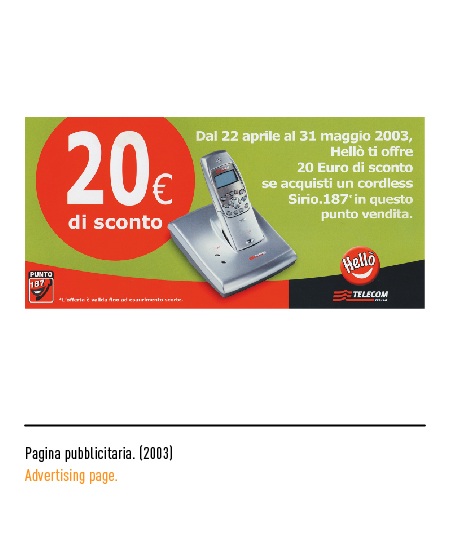 Yet a further restyling was undertaken in early 2003 by Annamaria Testa and Paolo Rossetti using optically modified Meta lettering and a darker shade of grey, and replacing the tetragon with a trigonal figure. 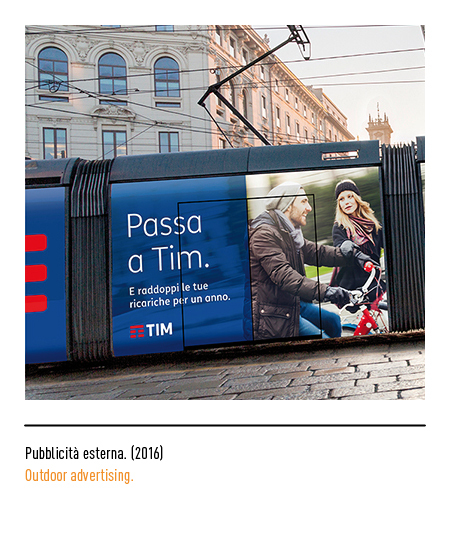 Actually, these operations were more of a touch up than a sign of a change in the company as such. 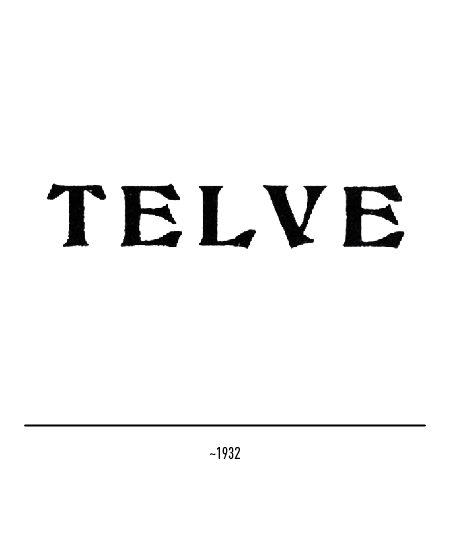 They were in fact meant to freshen up the image and to improve the legibility of the trade-mark without over-changing it, for it had already positively asserted itself worldwide. 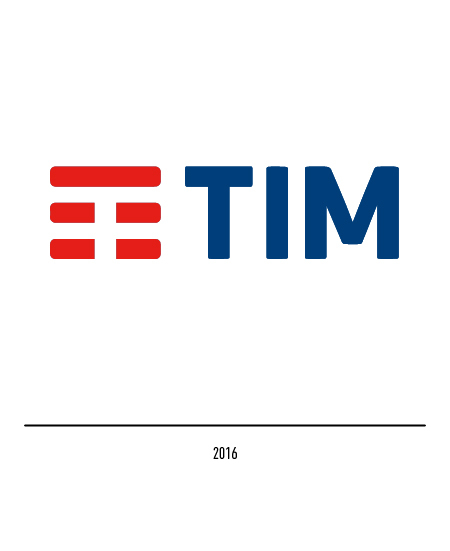 In 2016 was introduced the new logo, resulting from the merger of Telecom Italia and Tim into a new business, called “Tim"; a synthesis that has sealed fixed-mobile convergence enabled by the Internet, new devices, technology and digital platforms. 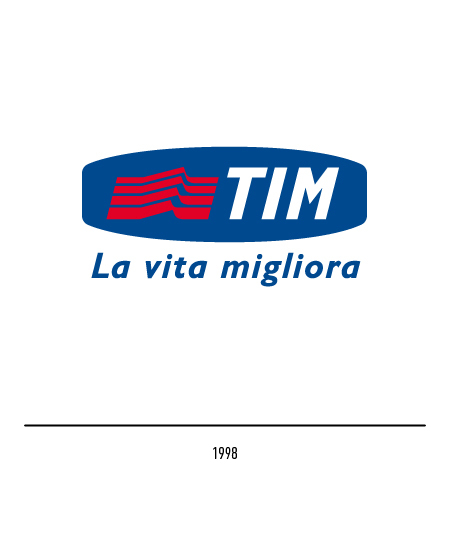 The design of the logo was carried out in collaboration with Interbrand; besides keeping the three basic colors, the oval has disappeared, allowing the logo to live free. 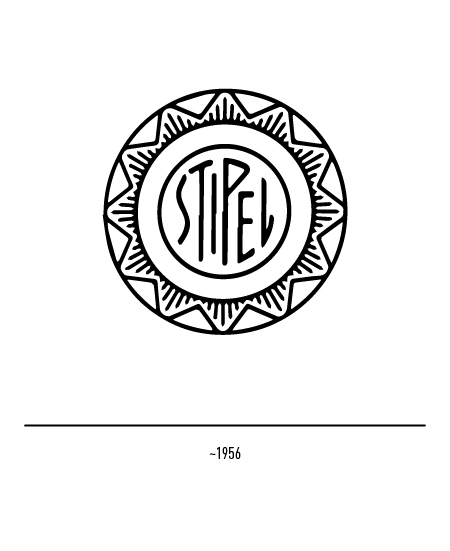 The waves of the previous tetragram synthesized the transmission of an analog signal and, with the advent of digital, were considered obsolete; therefore, the synthesis has led to the creation of an icon of only three horizontal lines in which, with appropriate optical subtraction, one perceives the initial letter of the logotype. 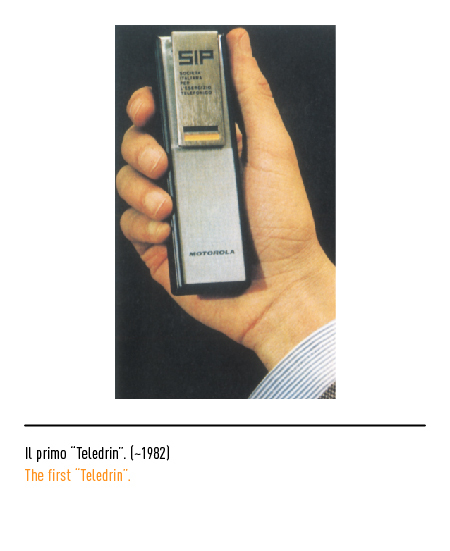 Giorgio Giugiaro, Bruno Munari, MADE IN ITALIA, Inei, Bologna, 1988. 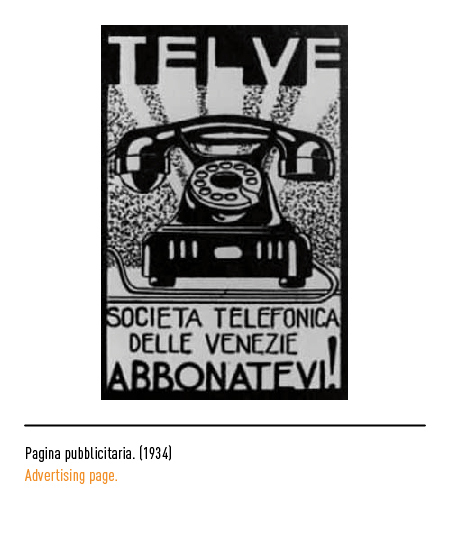 AAVV, L’economia italiana tra le due guerre 1919/1939, Comune di Roma, IPSOA, Milano, 1984. 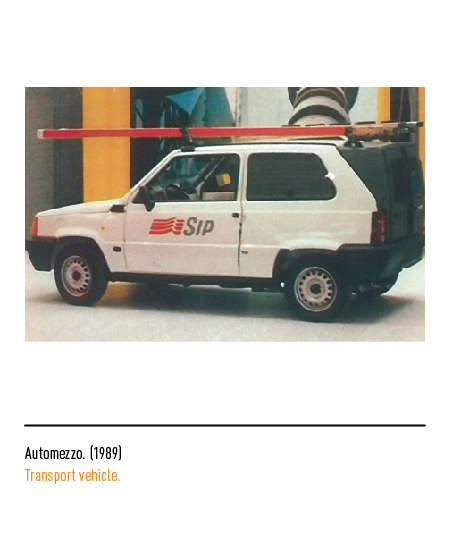 Roberto Monachesi, MARCHIO, Lupetti & Co., Milano, 1993. 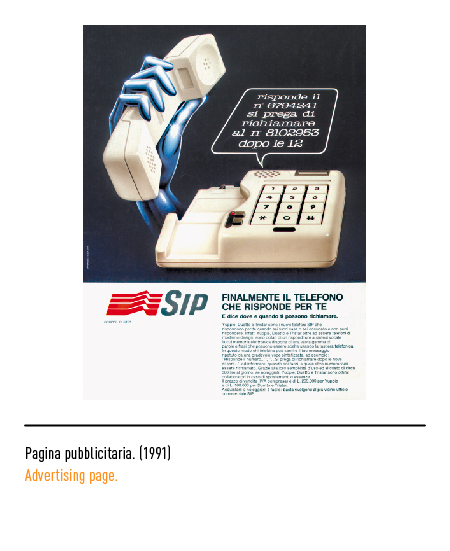 Augusto Leggio, “Nel tempo e nello spazio; storia illustrata della Posta e della Telecomunicazione”, Poste Italiane, 1996. 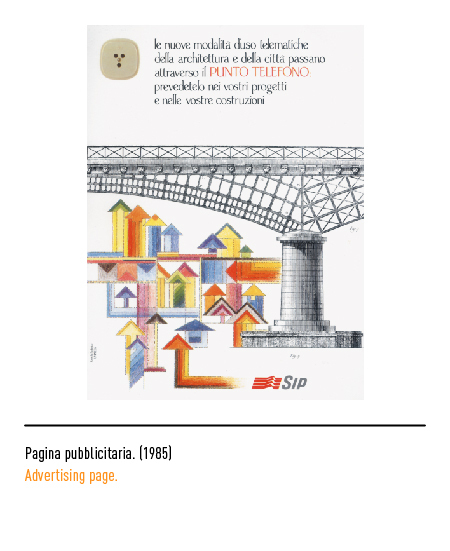 Geppi De Liso, MARCHI, Lupetti, Milano, 2009.
the property of the MUMIT.